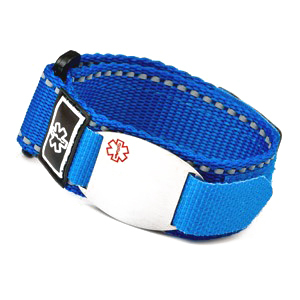 This blue fast wrap sport strap medical ID bracelet is great for kids, teenagers and adults! 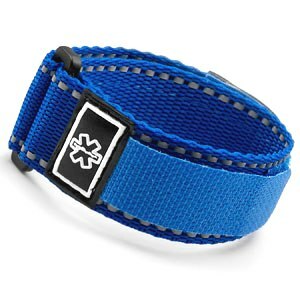 It easily adjusts to fit wrists from 5 1/2 to 8 inches. 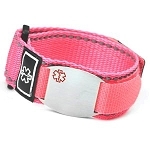 Choose a stainless steel brushed matte plaque which features a medical alert symbol. The oval plaque is approximately 1 3/8 by 1 inch and the rectangular plaque is about 1 1/2 by 3/4 inch. The nylon and polyester strap is about 1 inch wide. 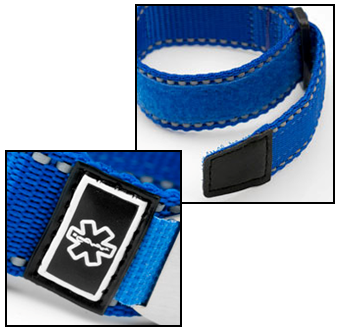 This particular strap design is intended for the active adult or child who enjoys running, biking, skiing, or participating in many other athletic activities. 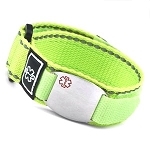 To enhance visibility during the night, white reflective thread has been sown into the strap. Though not waterproof, strap is water and mildew resistant. This is a MIX and MATCH bracelet! 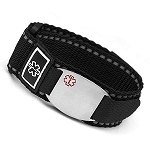 The plaque is interchangeable and can be worn with any of our other sport strap bracelets. 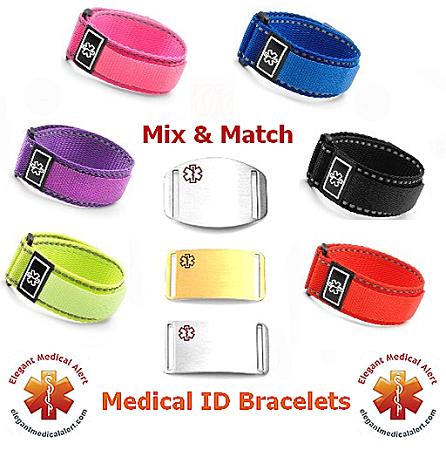 To order this bracelet without the plaque at a reduced price, select No Plaque Needed.